As I mentioned, this is a blog hop & a card drive...and I will give you all the info you need at the end of my post. But first, let's check out the card set that I made! I knew that I wanted to keep the cards relatively simple in order to focus on the message of this stamp set & the whimsical main image, and this is what I came up with! To start I stamped & heat embossed the main image & bow to cashmere and white cardstock blocks. I colored the white panel in with Zig Clean Color Real Brush markers, and the cashmere panel with Uniball Signo gel pens in white & gold. I mounted the stamped panels to the front of A2 cards in the opposite color using foam adhesive. Then I proceeded to stamp & heat emboss the sentiments to vellum, and one part to white cardstock. I cut out the scripted words using their coordinating dies, and trimmed the other sentiments into strips. I added the longer sentiment to the top of the Zig colored panel, popping it up with some foam dots and covering them with jewel accents. I added the other sentiment to the pink panel, in addition to the puffy sticker ampersand. I added a jewel to the middle of the bow as an added accent. Finally, I added a little shimmer to the Zig colored card with my Tonic Aqua Shimmer pen. Here is a peek at each card by itself. You can get additional info on the card drive on the Pinkfresh Studio blog post (listed in the above link list) and link-up the cards you plan on sending in for the card drive! 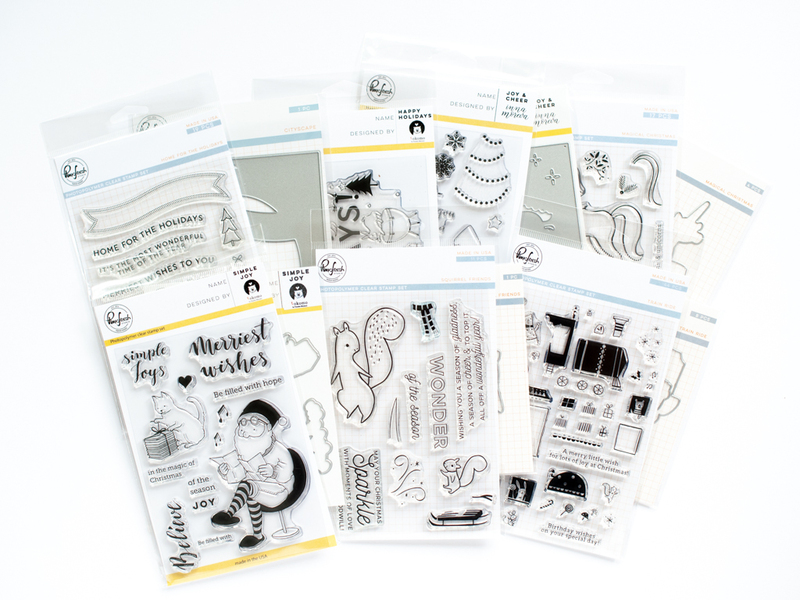 Have a wonderful rest of your World Cardmaking Day and happy hopping! Wow , both of these cards are just beautiful! I love the way you can just change it up a little to get a different look. What a cool idea and your cards are so soft and sweet, Lea. Beautiful. Two beautiful ways of coloring the design. Both are fantastic and wonderful inspiration. Your cards are SO beautiful! I love the soft and feminine color palette, and all those golden details! Really pretty! I love the gold with the soft coloring! Very pretty! Beautiful cards! Love your layering and the gold design! 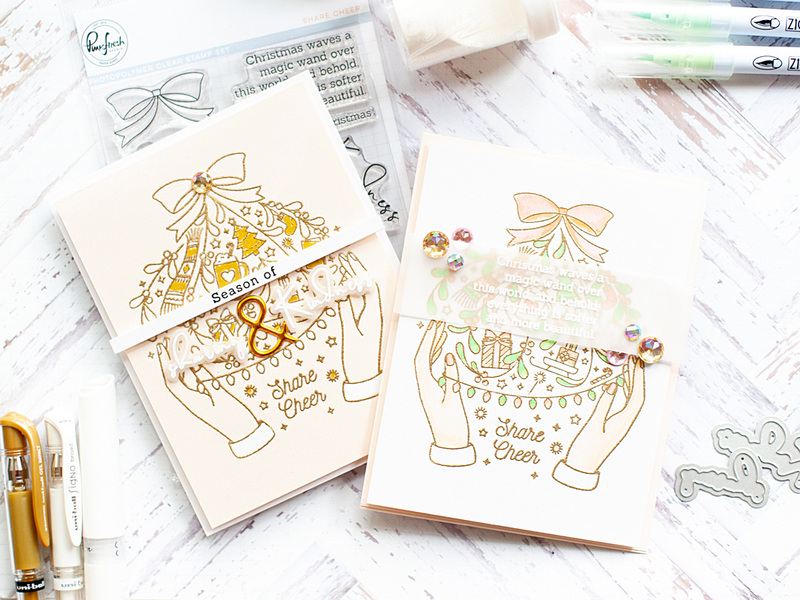 Gorgeous Share Cheer stamp set! Beautiful cards in this post. thanks for sharing!!!! Thanks for sharing these two gorgeous cards. Love these, especially the beige and gold one! So beautiful. The palettes on your cards are always such a delight! Thanks for sharing your talents. These are gorgeous! Love the colors you used. Love this set and your cards! Sounds like a wonderful card drive, too! Love both of your cards. They have just the right amount of pizzazz. 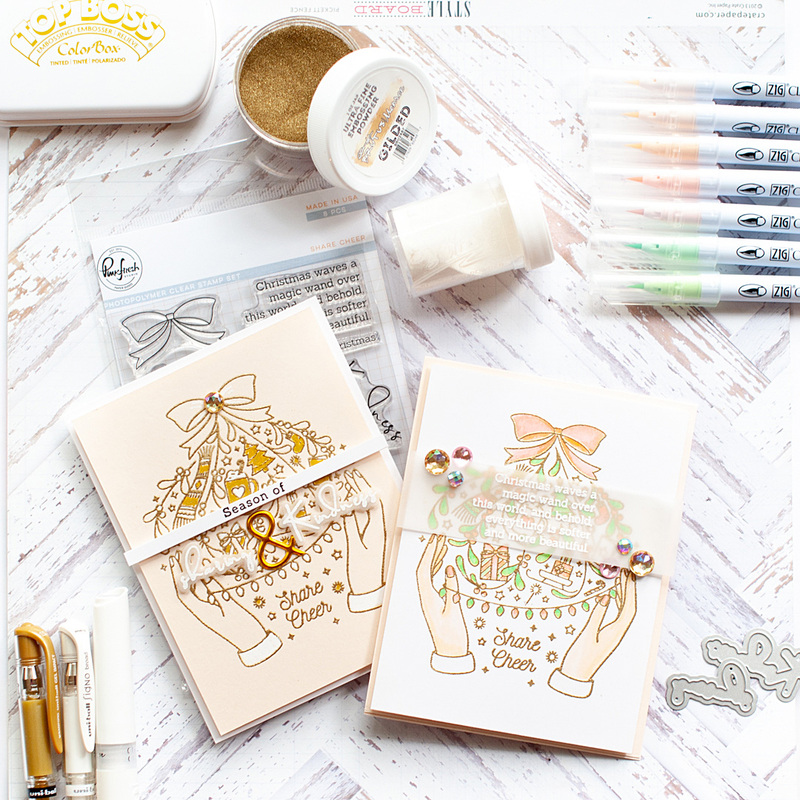 They are elegant and love the message of this stamp set. Gorgeous cards Lea! So wonderfully elegant. Fantastic Campaign! I'm totally in love for your gorgeous cards!!! Beautiful colors!!! I know you love your non-traditional color palettes, and I love this one! Gold and soft pink and mint, yet it still feels perfectly appropriate to the holiday. You are a magician! Thanks so much for sharing and supporting such an excellent charity. 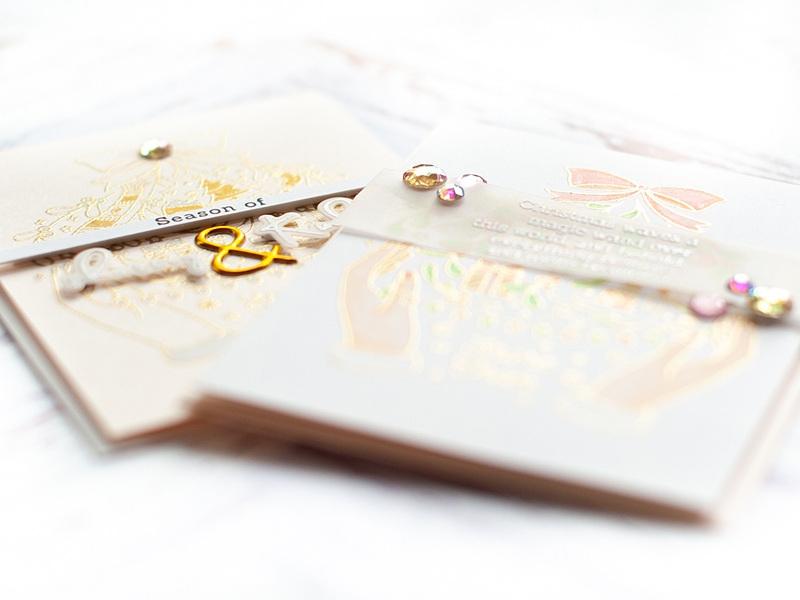 That gold heat embossing adds so much elegance to your cards and I love how added color to one and left the other plain. Your cards are very beautiful and elegant. 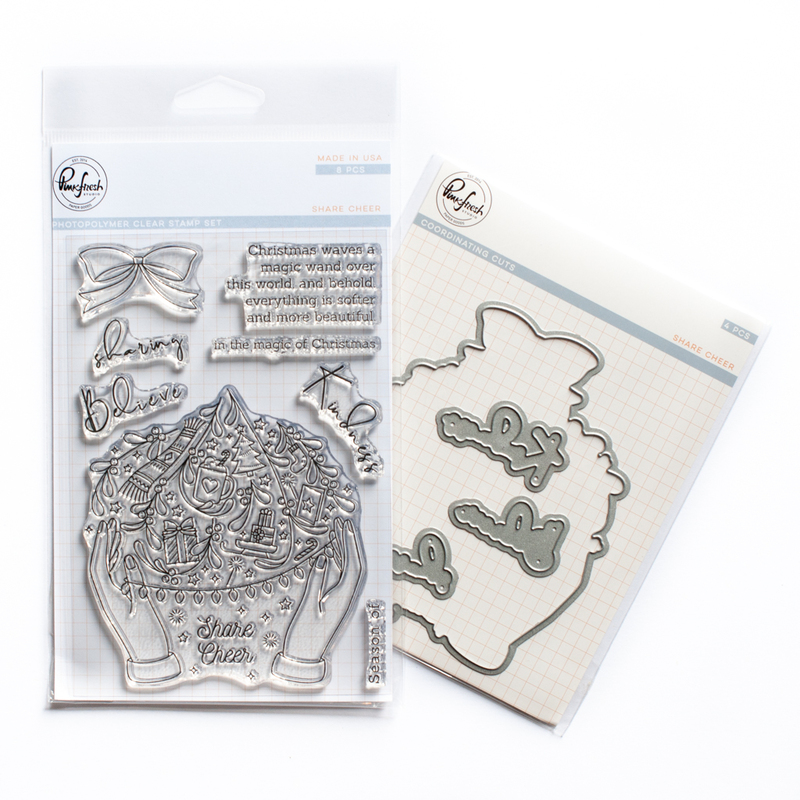 This stamp set is a beautiful set and a wonderful way to help UNICEF. Thank you for your inspiration. I love your soft and delicate colors. Thanks for sharing.